In this tip we look at how to best answer the common interview question, what's your biggest weakness. 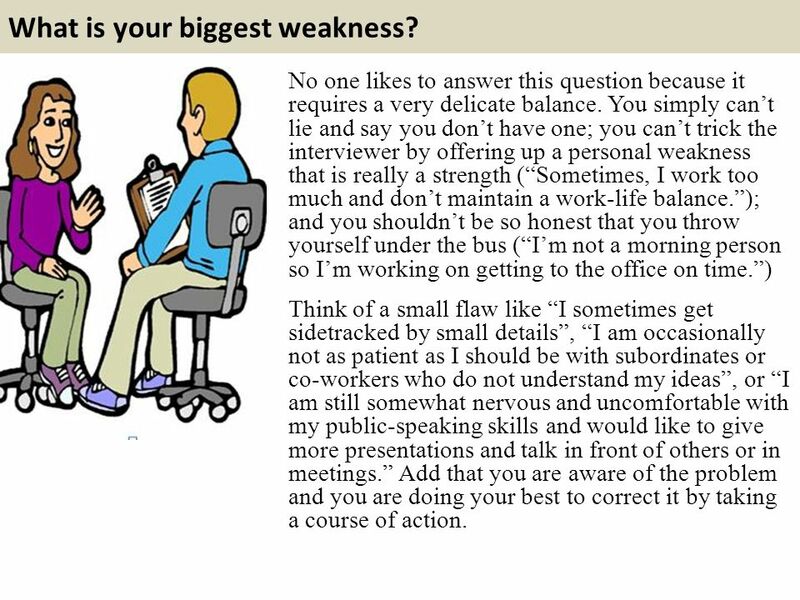 In this tip we look at how to best answer the common interview question, what's your biggest weakness. Interview Questions & Answers This is a job interview question that everyone dreads, but there’s really no reason to! This is not a question that you even necessarily need to customize for each interview. My biggest weakness is the lack of more patience. I wish I was a Zen Monk, unflappable in every way. Sadly, I get annoyed when people are more than 15 minutes late without giving a heads up or don’t read directions and start asking questions.